If you’ve felt something different in the air this week in Vancouver, you’re right. 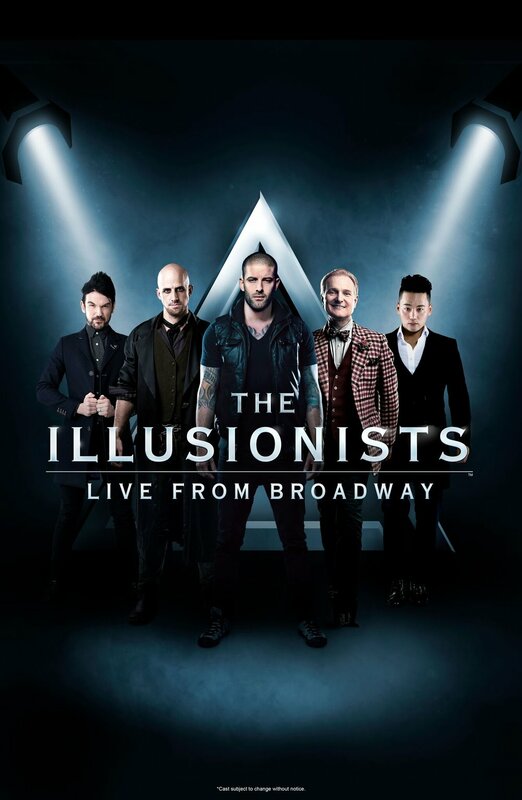 Because there’s magic in the air, thanks to Broadway Across Canada’s production of The Illusionists – Live from Broadway, which opened on Tuesday night at the Queen Elizabeth Theatre. This highly impressive show delivers dazzling tricks in a fun and personable way. I’m not sure what the best terminology to use here is. I would normally refer to this type of entertainment as a magic show, featuring magicians. But I get the feeling the preferred terminology here is illusion show, featuring illusionists – which I guess is technically correct from a logical perspective. But some of the tricks in the show are so outstanding, it’s hard not to think of them as true magic. The show stars five male illusionists who have made their mark around the world, including performances on America’s Got Talent, and high profile international magic competitions. Nicknamed “The Grand Illusionist”, Darcy Oake seemingly pulls doves out of nowhere, makes coins disappear and reappear, and his assistant Alison Koroly levitate right before our eyes. Johnathan Goodwin is rightfully nicknamed “The Daredevil” and he delivers some of the most heart pumping, death defying acts I’ve ever seen. I don’t want to give too much away, but one of the highlights of the night is when he is put in a straight jacket and is left hanging by a rope over top of the stage, while a chainsaw threatens to cut the rope in 60 seconds. He has to somehow get out of the straight jacket and save himself, or else fall to certain death – because what lies beneath him on the stage surface is absolutely terrifying. He’s also very skilled with the crossbow. So much so, that he’s able to shoot arrows aimed at balloons held by his assistant Ashleigh McCready, whether she’s holding them in her mouth, or over top of her head. And Goodwin may or may not be blindfolded during this. There’s also a trick where he has to catch an arrow heading straight towards him – or die, obviously. Goodwin’s astonishing acts of “illusion” were responded to with thunderous applause and standing ovations from the audience, and rightfully so. And also – he’s not afraid of scorpions. Also receiving a standing ovation for his remarkable efforts on opening night, was Colin Cloud, “The Dedunctionist”. This “mind reader” dresses and looks like Sherlock Holmes, and that’s his thing. In fact, his bio notes that Cloud was accepted into a university in Glasgow to study Forensic Investigation when he was just 15-years-old. And if you ever need anyone to solve a crime, my money is on Cloud. During his performance, he’s able to guess people’s names (first and last), and their pet names – and not just the volunteers he brings onstage, but also random audience members. While skeptics could argue that Cloud has actors planted in the audience, the way he chooses his volunteers is so random that it seems impossible for his acts to be fixed. He also has delightful charisma and humour, making his acts highly enjoyable to watch. An Ha Lim (The Manipulator) is also delightful, offering two different acts where he not only pulls cards out from nowhere – but he “magically” transforms them right before our eyes. Live stream video footage projected on a screen above the stage shows close-ups of Lim’s every move – and he effortlessly flips cards to reveal entirely different cards. Adam Trent is an entertaining performer with a likeable personality. But his nickname as “The Futurist” actually makes no sense, as there’s nothing futuristic about him really. 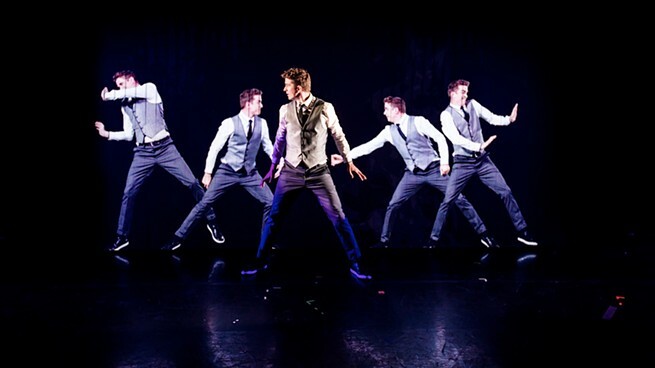 To justify his nickname, he does a solo performance set to music and choreography in front of video screens that show various images of him, giving the illusion that he’s dancing with four other Adam Trents. And there’s also a suitcase he carries around, because I guess time travellers tend to carry suitcases with them – how else will they carry their essential items with them through time? But none of that is enough to warrant the title of “The Futurist”. I want to stress the positive qualities about Trent – he has a fun, refreshing personality that really enhances the show and makes it more personable. I quite enjoyed his involvement. His tricks are a lot of fun to watch – but they are also pretty transparent. For example, audience members are encouraged to throw personal items into a box onstage before the show (items they don’t want returned). Later in the show, Trent goes through the items in the box and does things like restores a crumpled Coca Cola can to brand new form - unopened and full of Coke. He also licks the filling from an Oreo cookie and makes it reappear. But these items are obviously magic show props. None of the items he pulled out were believable as items from the audience. The first item is a dead giveaway – a cup from The Oliver Garden. I love the Olive Garden, and I wish there was one in Vancouver. But the closest Olive Garden is all the way out in Langely, and I doubt anyone went there for dinner before the show, made the hour or so commute to Vancouver, and arrived with their Olive Garden cup. Not to mention, outside drinks aren’t allowed into the theatre. Another “audience item” Trent pulled from the box was an empty Tic Tak container. I forget if he refilled it – maybe he did. But the point is – no one buys Tic Taks these days. And he also transformed a McDonalds ketchup package into a sweet n’ sour package. The problem is, the ketchup package he presented looked foreign to me – because it was. I think he was using an American McDonalds’ ketchup pack, which looks different from how we package our ketchup here in Canada. Trent’s other tricks are fun to watch – but not too difficult to see through if you think about it. But like I said, he’s fun to watch. The Illusionists is indeed a fun show all-around, with some mind blowing tricks, all done with spectacular flair, and slick showmanship. The five different personalities ensure the show never starts to feel tiring or repetitive. Just be warned, that if you’re in the orchestra section of the audience, you very well might be “voluntold” to be part of the show! But what’s the harm? You’ll get to experience the world-class “illusions” first hand. Broadway Across Canada’s production of The Illusionists – Live from Broadway, runs at the Queen Elizabeth Theatre until January 20. Visit Broadway Across Canada’s website for tickets and more information.